Gozamos Take Back Cinco de Mayo Party! 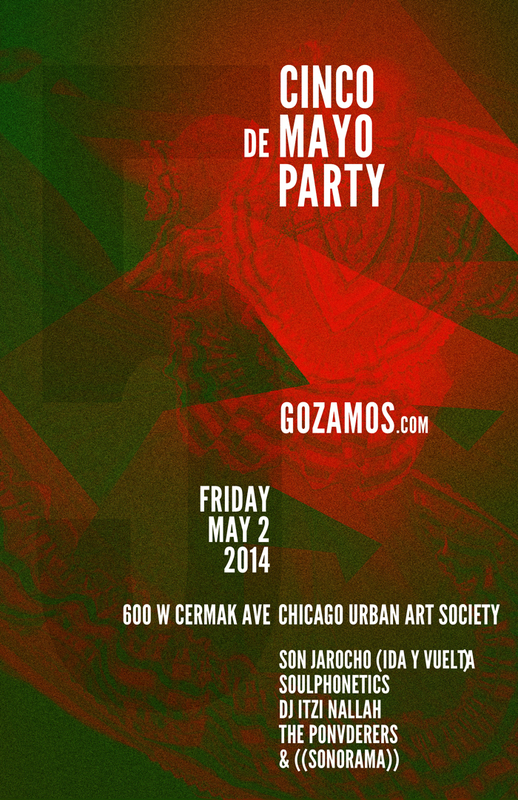 Join us at the Chicago Urban Art Society in Pilsen for a night of music and dance to celebrate Cinco de Mayo! Enjoy live son jarocho music by Ida y Vuelta and a full line up of DJs including ((Sonorama)), Soulphonetics, DJ Itzi Nallah of Cumbiasazo and The Ponderers. Check out our multimedia exhibit that honors the real roots of this holiday and the historic battle in Puebla.